A supersport with a chassis and technology of unprecedented sophistication. 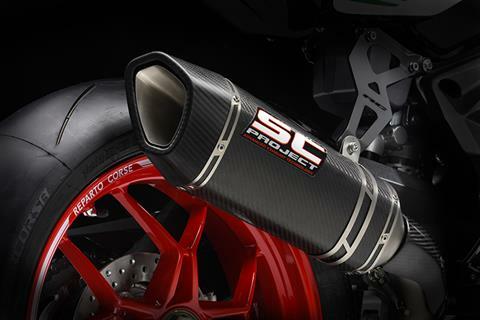 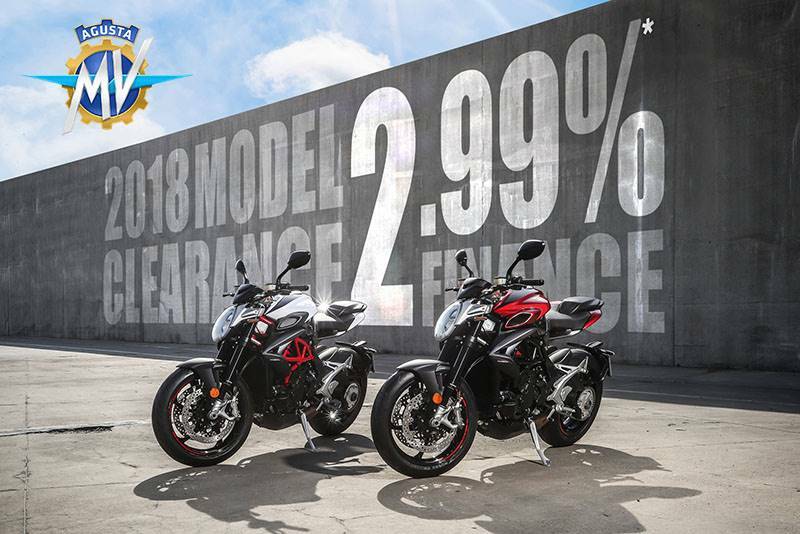 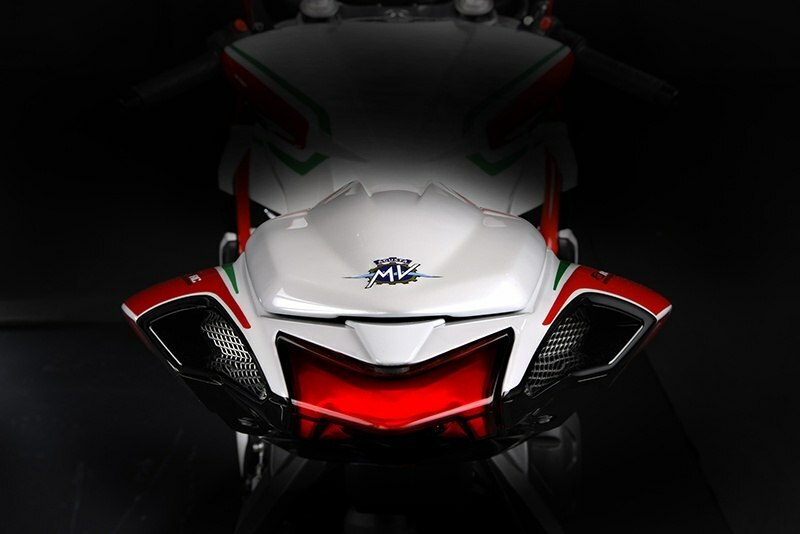 Since its first appearance, it has emerged as the new technological benchmark in the category, growing to 800 cc to create a new segment in the international supersport market. 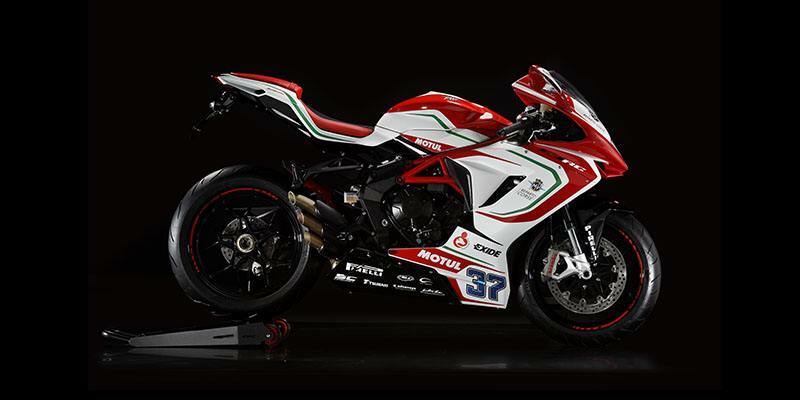 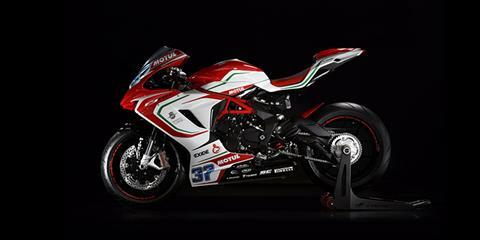 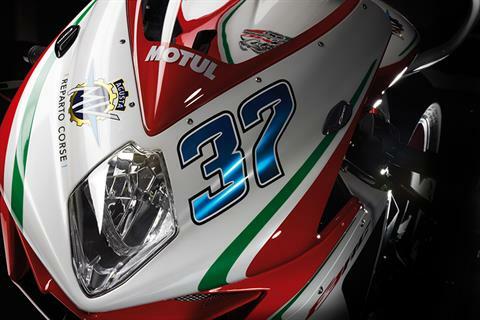 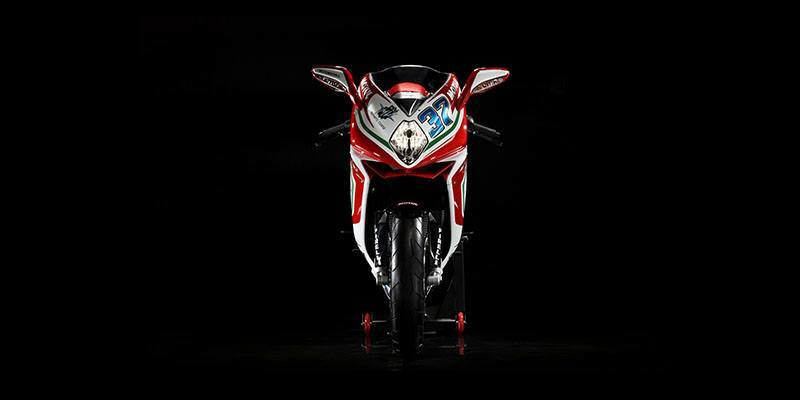 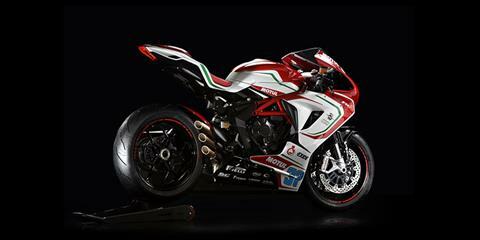 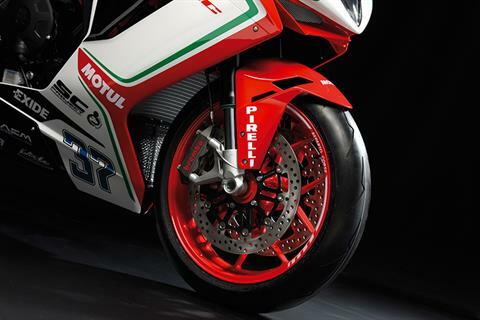 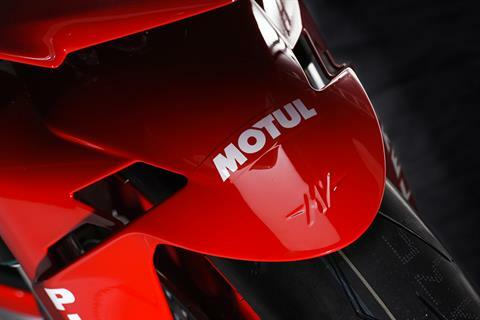 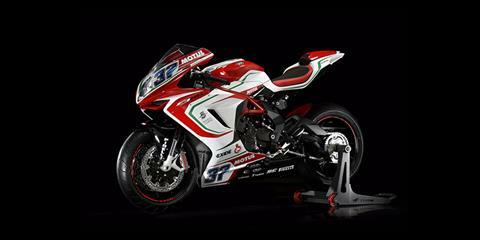 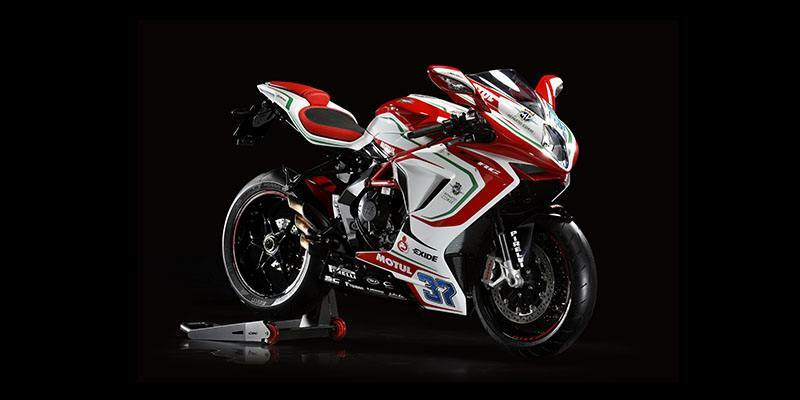 At the same time, its racing life has been packed with success, notching up more international victories to continue the MV Agusta's enviable sporting record. This achievement has been backed by a sound team that achieved improved results and image: the Reparto Corse Cluzel and Zanetti set the fans on fire with their sharp F3 RC Tricolori, certainly the most admired and envied motorbikes in the championship. 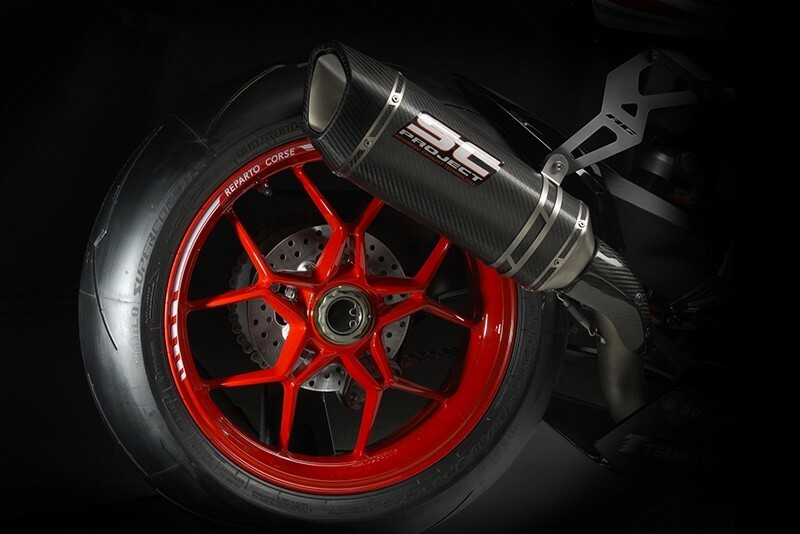 Anyone who gets their hands on a F3 RC special series bike will be able to translate these thrills to roads and track days. 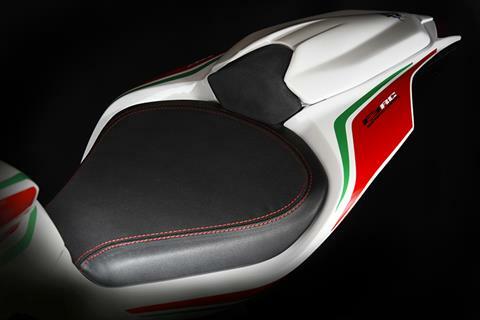 The F3 RC, produced in a limited edition of 100 bikes in the 675 configuration and 250 in the meatier 800 configuration, faithfully reproduces the graphics of the Jules Cluzel and Lorenzo Zanetti motorbike. 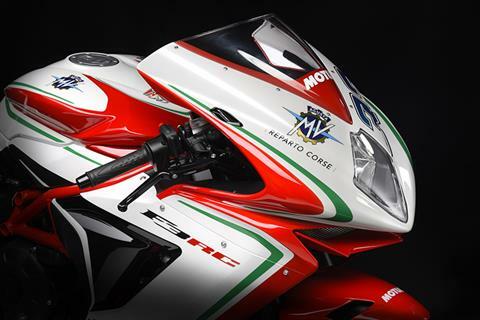 To certify the originality of each bike, every F3RC is autographed by both riders, #16 Cluzel on the right side panel and #87 Lorenzo Zanetti on the left. THE ENGINE: Offered in two displacements, the F3 RC is the essence of racing. 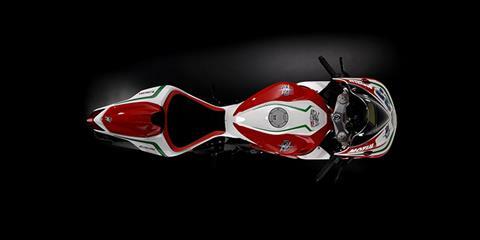 The perfect balance of technology and design, in a very limited production run, consisting of 350 works of art. 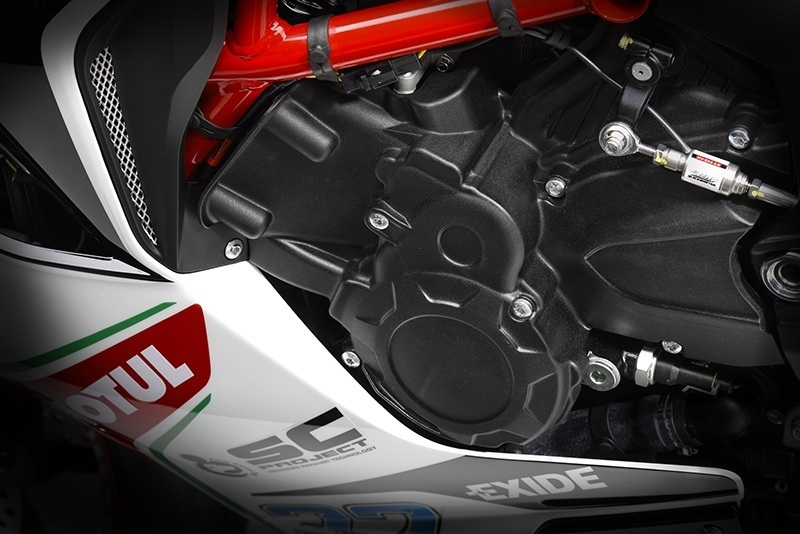 The incredibly lightweight and compact three-cylinder engine has been further refined and optimized to achieve maximum performance obtaining peak power and torque for both track and road use. 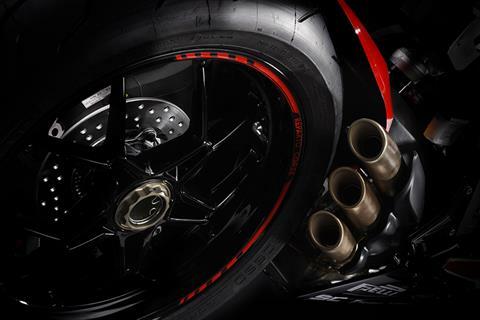 F3 675 RC produces 128 hp (94.2 kW) at 14,400 rpm and 71 Nm (7.24 kgm) of peak torque at 10,900 rpm; The F3 800 reaches even further extremes, producing 148 hp (108.8 kW) at 13,000 rpm and 88 Nm (8.97 kgm) of peak torque at 10,600 rpm. 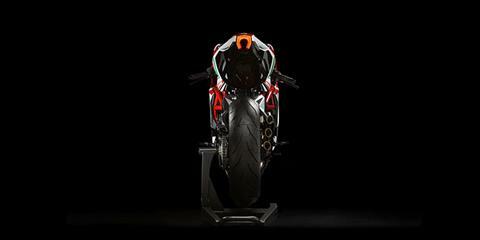 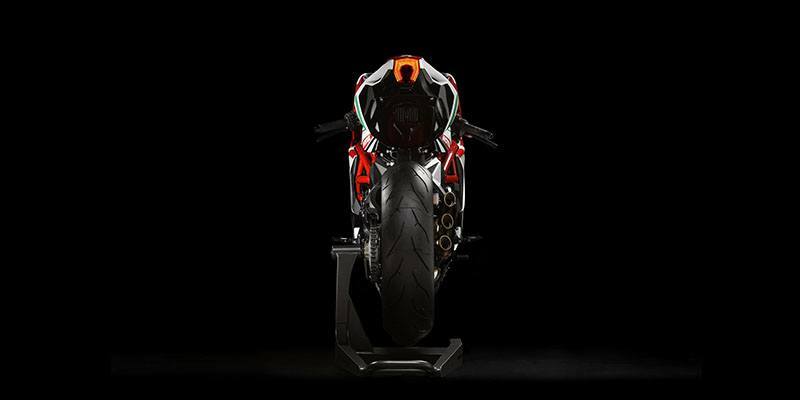 CHASSIS: The frame is a composite structure consisting of a lightweight front steel trellis coupled to the aluminum alloy side plates that act as the fulcrum for the iconic single sided swingarm. 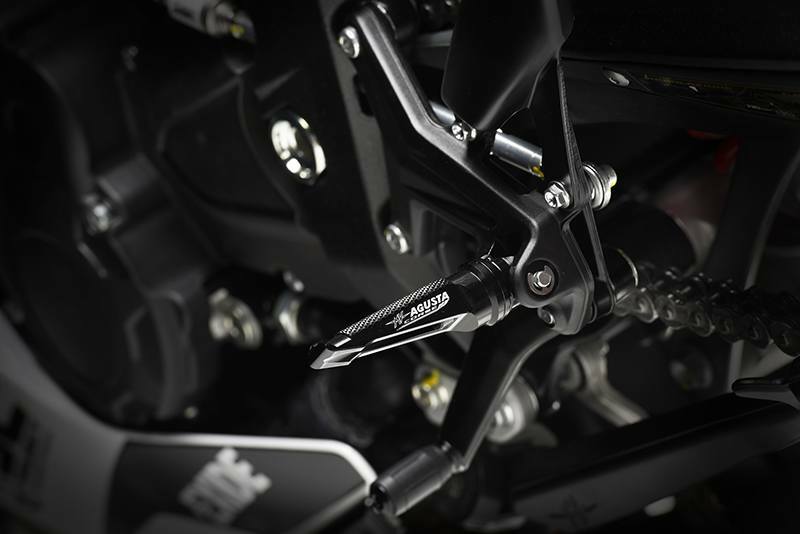 The suspension, Sachs mono-shock and Marzocchi front forks, have been tuned to keep the chassis in composure at the limit without sacrificing the nimble handling. The high ratio of swingarm length to the wheelbase (576.5/1,380 mm) ensures maximum traction and perfect weight distribution. 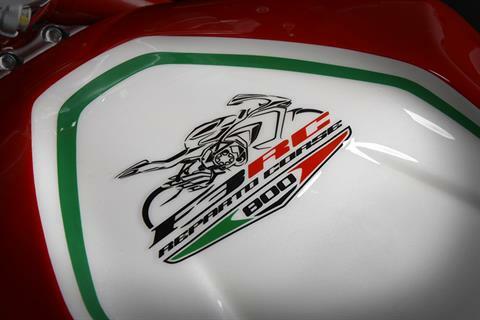 Dedicated Bike cover, Rear paddock stand and Certificate of origin.